The 'Arrested Development' season 4 front has been curiously quiet of late, but at long last the Bluths have finally set their return! Netflix officially announced today that 'Arrested Development's' revival season of all-new episodes will hit the streaming website on May 26, toting an additional episode that brings the reunion to 15 episodes total. Find out how you can blue yourself waiting for new 'Arrested Development inside! Though kept far more under wraps than Netflix's other original series 'House of Cards' or 'Hemlock Grove,' at long last 'Arrested Development' has come out of mothballs. Netflix has officially set the "season 4" debut date for Sunday, May 26, unveiling all 15 episodes (yes, up from 14) at once. Along with 'Arrested Development's big return, we even got a new teaser poster to blue ourselves over! ‘Arrested Development’ season 4 will feature appearances from Kristen Wiig and Seth Rogen, Conan O’Brien and Andy Richter, ‘Parks and Recreation‘s’ Ben Schwartz, ‘Up All Night’s’ Chris Diamantopoulos, all three stars of Comedy Central’s ‘Workaholics,’ ‘Mad Men’s’ John Slattery, Isla Fisher and Terry Crews, as well as returning series players Martin Mull, Ben Stiller, James Lipton, Carl Weathers, Jeff Garlin, Liza Minnelli, Judy Greer, Henry Winkler and Scott Baio. 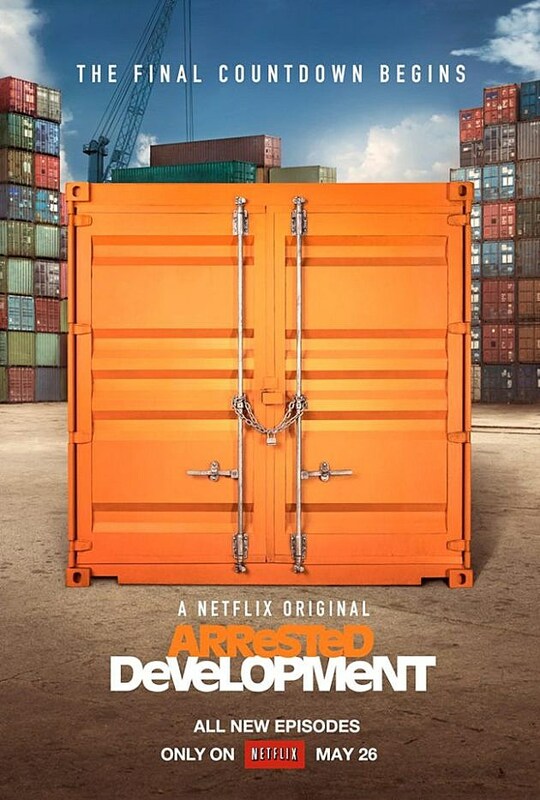 You can check out the new teaser poster for 'Arrested Development' season 4 below, and stay tuned for the latest from the May 26 premiere of all 15 episodes!